Does the idea of mobile dent repair seem too good to be true? Does it sound impossible to have a dent fixed on your vehicle while you are at work or in your driveway? Our paintless dent repair service at Piedmont Dent repair can make these impossible sounding statements completely possible. Through our highly skilled service technicians we can assess your vehicle repairs and provide you with a quick fix for your body work. We are mobile dent repair specialists in Fort Mill SC and we offer extremely affordable services on our dent removal solutions. One of the biggest specialties that we have to offer is hail dent removal and paintless dent removal services. Many of our customers find it difficult to go in and receive a quote when they need a small dent repair. They are worried about getting insurance involved or losing their vehicle for a few days in order to have auto body repairs done. Paintless dent repair addresses these issues by making sure that repair jobs can be completed quickly. By taking a look at your vehicle and the area surrounding the dent, paintless dent repair can ensure that the surrounding finish doesn’t have to be compromised to complete the repair. When you search for “mobile dent repair near me” in Fort Mill SC, you could have a quote from our experts and a quick repair done within a few hours using this solution. Not all dents will qualify for paintless dent repair, but we can fix up the majority of smaller dents using this method. 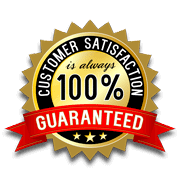 Our technicians stand behind their work and if we say that we can perform paintless dent removal, we offer a satisfaction guarantee for the job. If you are unsatisfied with the work that we’ve done, we will perform a second repair free of charge. Contact our technicians at Piedmont Dent Repair today for hail damage repair, paintless dent repair solutions and more. If you want the convenience of mobile dent repair in Fort Mill SC, our technicians are standing by and ready to answer your call.